For centuries tattoos sculptured onto the skin have been a way of expressing freedom, liberation and art. The exhilaration of self expression through tattooing has been lifted into a new sphere, with hair designers experimenting in hair carving, taking tribal hair design to dizzyingly daring new heights. 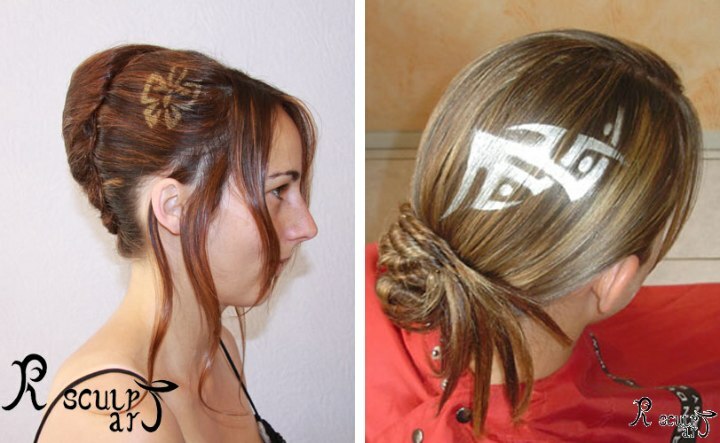 Naturally, hair designers who thrive on creating cutting-edge hair, which delves deep into their imagination, are passionately crafting hair tattoos, which blend a wonderful mixture of color, patterns and designs, to create a genius emblem of uniqueness, individuality and exquisiteness on any type of hair. As the pursuit for multihued, inimitable and skillfully creative hair intensified throughout the vibrant world of hair fashion, hair art guru Thierry Gras (haircarver.com) propelled an exclusive “haircarver” scene into the terrifically pulsating hair style industry in France in 2008, and now has an exclusively sought-after show dedicated to this revolutionary medium of self-expression and hair art. Masterfully parting the hair the way sculptures sculpt a masterpiece, just watching Thierry Gras craft his craftsmanship in hair carving and hair tattoos is a wonderful experience, which takes you to a far away world of tribalism. Contrary to the popular image of hair tattoos being sculptured onto the shaven heads of males, celebrated haircarver Thierry Gras skillfully adds decoration and uniqueness to the long and luscious locks of beautiful women at his show in the Palace of Congress in Marseille. To swank a beautiful and uniquely inimitable hair tattoo as effortlessly and as skillfully as Thierry Gras does, requires lashings of creativity and vision, a steady hand, and some vital tools, experience and knowledge. 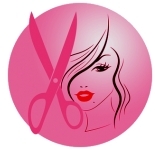 Hair carving can be done in two different ways, by either shaving the hair or coloring it. To accomplish the proficiency of fine lines and intricate details Gras creates with his hair tattoos, carving blades and trimmers are necessary. 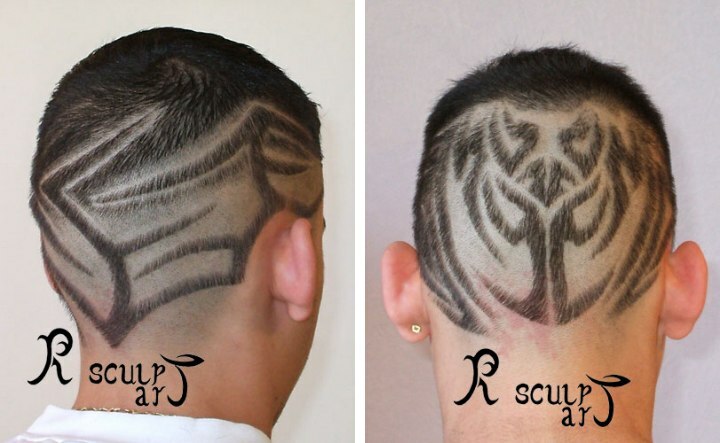 To literally carve a tattoo onto the head, typically the hair must be a quarter of an inch above the scalp, allowing the hair carver to carve the design onto the scalp. Traditional hair art involved the use of color and paint and hair carving can also be accomplished with the use of color, which enhances richness and uniqueness of the hair carving. Watching an artist perform their magic is always an inspiring and enriching experience, which can often give the onlooker a sound command of the task they are effortlessly achieving and a desire to become better acquainted with the skill. After being memorized by Thierry Gras’ awe-inspiring “haircarver” show, it is apparent that to successfully ‘carve’ the hair, the cuts need to be made in a sweeping motion, opposed to blunter and more defined movements. How long do Hair Tattoos last and how much do they Cost? Unlike a tattoo on the skin, which is permanent and can often cause its bearer great resentment and a sense of regret later on in life, hair tattoos or hair carving is only temporary and usually only lasts several weeks. A relatively high level of maintenance is required to ensure the hair tattoo preserves its ‘sharpness’. Like a conventional tattoo, the price greatly depends on the size, complexity of the design, as well as the individual adroitness and experience of the hair carver.